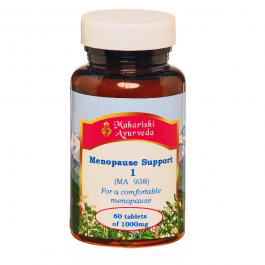 Helps to maintain even body temperature pre- and post-menopause. It pacifies Pitta dosha (fire element) in the deeper tissues and helps keep the channels open so that flow of heat is regular. It also nurtures the connection between mind and body and mind and heart. The Temperature Balance tablets contain a mixture of herbs that pacify Pitta dosha (fire element) in the deeper tissues of the body. According to Ayurveda, hot flashes occur when heat transfer in the body becomes irregular because of clogged channels. This formula helps to keep the channels (shrotas) clear and balance heat regulation in the body. The herbs balance the 13 agnis (fires) in the physiology and nurture the connection between mind and body and mind and heart. 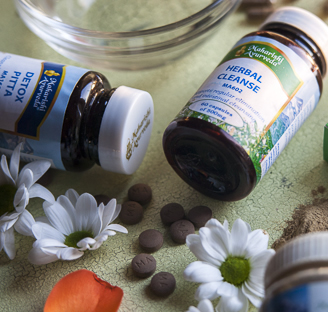 The herbs in Temperature Balance are combined in precise proportions and prepared in the traditional Ayurvedic way. This improves the bioavailability of vital nutrients. It also creates synergy — the collective benefit is much greater than that of isolated, individual herbs. Indian asparagus, Sarsaparilla, Vetivert, Waterlily, Sandalwood, Indian Tinospora, Rose, Long Pepper, Red Coral and Abhraka bhasma combine to cool Pitta in the deeper tissues of the body. This combination is the vehicle to get the cooling effect into targeted tissues. Asparagus, Sarsaparilla, Sandalwood, Amla, Indian Tinospora, Waterlily, Liquorice, Rose and Red Coral all help to balance the solar element (agni) by increasing soma (the lunar energy element). 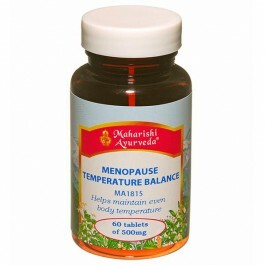 Menopause Temperature Balance helps to maintain even body temperature pre- and post-menopause. It pacifies Pitta dosha (fire element) in the deeper tissues and helps keep the channels open so that flow of heat is regular. It also nurtures the connection between mind and body and mind and heart. This formula helps to keep clear the shrotas (channels) that are important for maintaining evenness in the body's temperature control. 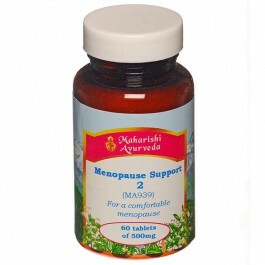 Shatavari, Indian Sarsaparilla, Water Lily, Rose, White sandalwood are great cooling herbs that are targeted to the deeper tissues by their supporting ingredients. Molluscs - Cowry shell, Black lipped oyster pearl, Black lipped pearl oyster shell, Conch shell.